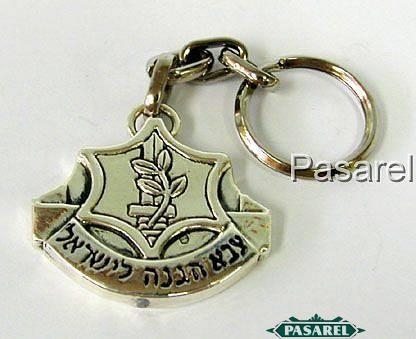 Highly sought after by collectors this beautiful key chain in shaped as a highly detailed symbol of the IDF, inscribed in Hebrew Israel Defense Forces . Back is inscribed With love from the soldiers of IDF . This item was made in the electroforming method. Length: 4cm. / 1.575in. Width: 4.5cm. / 1.772in. 22gr. / 0.707oz.